, an able mathematician of France, aud one of the most learned astronomers of the seventeenth | century, was born at Fleche, and became priest and prior of Rillie in Anjou. 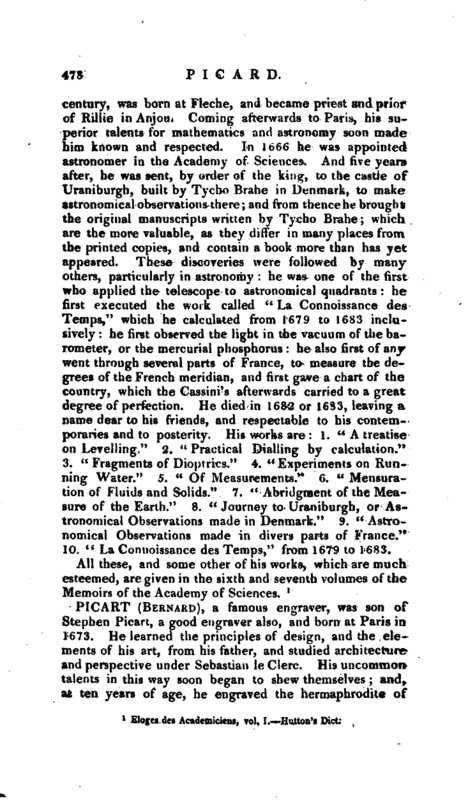 Coming afterwards to Paris, his superior talents for mathematics and astronomy soon made him known and respected. In 1666 he was appointed astronomer in the Academy of Sciences. And five years after, he was sent, by order of the king, to the castle of Urani burgh, built by Tycho Brahe in Denmark, to make astronomical observations there; and from thence he brought the original manuscripts written by Tycho Brahe; which are the more valuable, as they differ in many places from the printed copies, and contain a book more than lias yet appeared. These discoveries were followed by many others, particularly in astronomy: he was one of the first who applied the telescope to astronomical quadrants: he first executed the work called “La Connoissance des Temps,” which he calculated from 1679 to 1683 inclusively: he first observed the light in the vacuum of the barometer, or the mercurial phosphorus: he also first of any went through several parts of France, to measure the degrees of the French meridian, and first gave a chart of the country, which the Cassini’s afterwards carried to a great degree of perfection. He died in 1682 or 1683, leaving a name dear to his friends, and respectable to his contemporaries and to posterity. 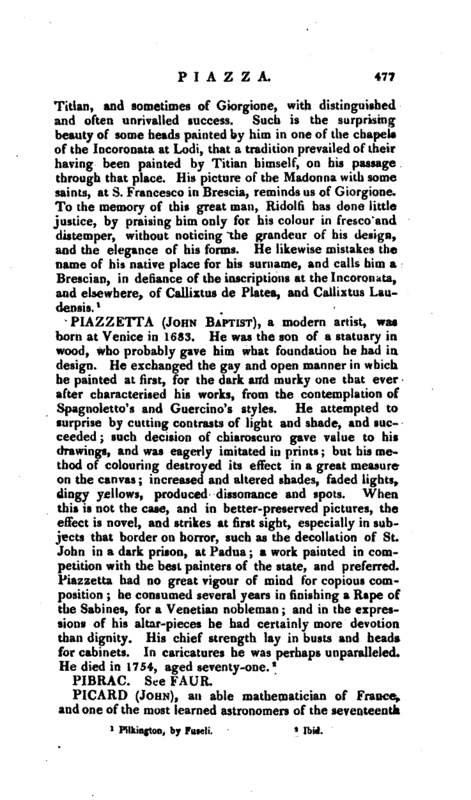 His works are: 1. “A treatise on Levelling.” 2. “Practical Dialling by calculation.” 3. “Fragments of Dioptrics.” 4. “Experiments on Running Water.” 5. “Of Measurements.” 6. “Mensuration of Fluids and Solids.” 7. ' Abridgment of the Measure of the Earth.“8.” Journey to Uraniburgh, or Astronomical Observations made in Denmark.“9.” Astronomical Observations made in divers parts of France.“10” La Connoissance des Temps," from 1679 to 1683. Elogei des Academicien, vol. I.—Hutton’s Dict.